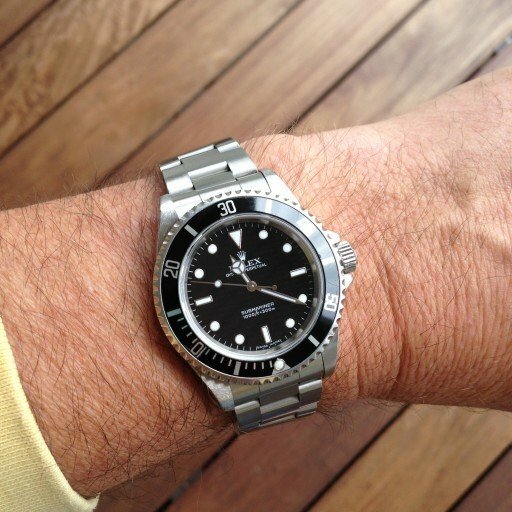 Is It Better To Wear Your Submariner On A Strap Or A Bracelet? Do you wear your Submariner on its original bracelet? Or are you one of those who is constantly changing out bracelets and straps, like those crazy Paneristi? 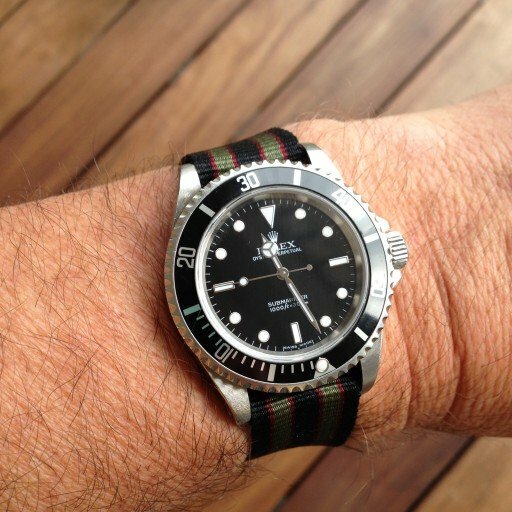 For you vintage Sub owners, those original riveted bracelets were kind of tinny, weren’t they. But they’re historically correct, flimsy clasp and all. There is something about a Sub on steel, isn’t there? But we also follow a lady on Instagram who also wears a nice 14060. She owns countless colored nylon straps. She’s always changing out her strap to match her outfit or her mood. But we’re betting precious few of you are wearing your Subs that way. And there’s leather. 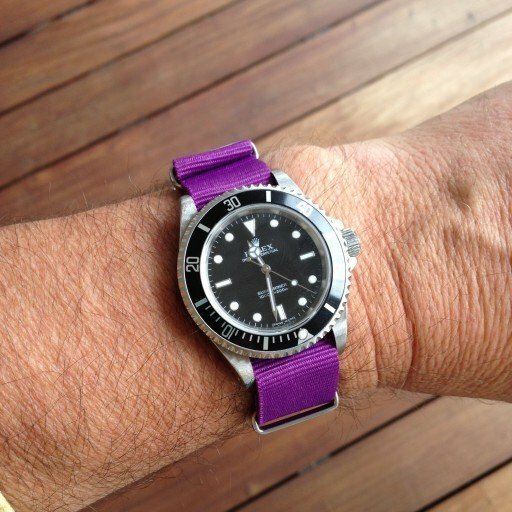 Amateur and semi-professional strap makers have been coming out of the woodwork the last few years. Mostly they serve the aforementioned Paneristi community, but a lot of them are gathering a following with other watch collectors. What factors go into the strap/bracelet decision? We’re betting comfort is high on your list. 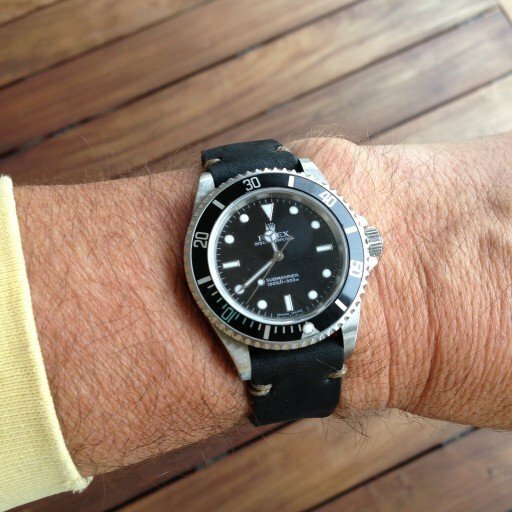 Do you wear your watch above or below your wrist knuckle? Does the crown dig into the back of your hand when you flex your wrist? Do you like your watch to fit tight or hang loose on your wrist? Questions like that will help you decide. But it might come down to your preference for what looks best. Are you a matchy-matchy, fashion-driven kind of clothes horse? 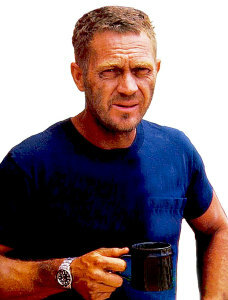 Or does that old picture of Steve McQueen sipping coffee in a T-shirt between takes on the set of Papillion fit your style? So how do you wear your Sub? Strap or Bracelet?